There is no legitimate excuse for traveling in excess of the speed limit, despite it being an unfortunately common practice. Many drivers in Massachusetts and nationally disregard speed limits because they are rushing, unaware, or simply negligent. It is a simple fact, however, that a speeding driver drastically reduces his ability to stop his vehicle in time to avoid potentially devastating car crashes. Despite being a regrettably widespread behavior, speeding is the root cause of many serious car accidents with other motorists, pedestrians, and bicyclists, where life-changing injuries and fatalities often result. The experienced Boston car accident lawyers at Bellotti Law Group, P.C. have many decades of success holding negligent speeders accountable for the injuries and wrongful deaths they have caused. 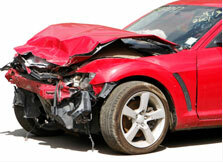 We investigate each claim and will determine if speed was a contributing factor in your car accident. Call our Boston, Cambridge, or Quincy office today at 617-225-2100 for a FREE consultation. Quite simply, roads in Massachusetts are not suitable for speeding vehicles. In and around Greater Boston, roads are frequently congested with pedestrians, bicyclists, taxis, buses, trains, and other vehicles. Streets are often old and narrow, where stopping distances are short and driving mistakes do not enjoy much forgiveness. Speeding around colleges and downtown pedestrian areas is especially dangerous, as well as in heavily traveled, tight areas such as the Ted Williams Tunnel. In short, our roads cannot accommodate speeding cars and the risk of a serious accident where speed is a contributing, if not leading, factor is always present. Pursuant to Massachusetts state law, all motorists must obey posted speed limits. Generally, around business districts and downtown areas, motorists should not exceed 25-30 mph. On highways, speed limits are increased generally to 65 mph. This includes the Massachusetts Turnpike ("Mass Pike" or I-90), Route 128, and Interstate 95. However, in some particularly dangerous areas, like the Ted Williams Tunnel in Boston, speed limits are reduced. On other highways, such as Route 9 that extends from western Massachusetts into Boston, through Natick, Newton, and Brookline, the speed limit is generally 45-50 mph. Finally, in school zones, speeds must not exceed 20mph. It is plain and simple, drivers that speed are driving negligently. As such, speeding that results in an accident holds the at-fault driver liable for car accidents, which often result in serious injuries and wrongful death. Injuries resulting from an accident caused by excessive speed include traumatic head and brain injuries, broken bones, severe injuries to internal organs, lacerations, burns, and a whole host of soft-tissue injuries. In short, car accidents caused by excessive speed are often devastating for victims and their families. Further, these injuries typically require profound medical care over long periods of time. Rehabilitation is often difficult and victims may never regain complete function, return to their job, or even enjoy simple daily activities. The experienced Boston car accident attorneys at Bellotti Law Group, P.C. have decades of success helping victims and their families recover from car accidents. We will coordinate with insurance companies, hospitals, rehabilitation centers, employers, and others to make you whole again. Contact us for a free consultation today at 617-225-2100.